Wait a minute, Christian Siriano was making $30 at the Stila counter at Bloomie's pre-Project Runway? Isn't that pretty damn good for makeup counter money? In a recent WSJ article, we learned this, and the ways in which the designer is trying to translate "buzz and talent" into a full-fledged career in high fashion, a feat no other PR alum has been able to accomplish. In short, selling has been tough, particularly in the current economic climate; he sold to Intermix, but other department stores such as Bloomingdale's and Saks wrote orders and then pulled out. 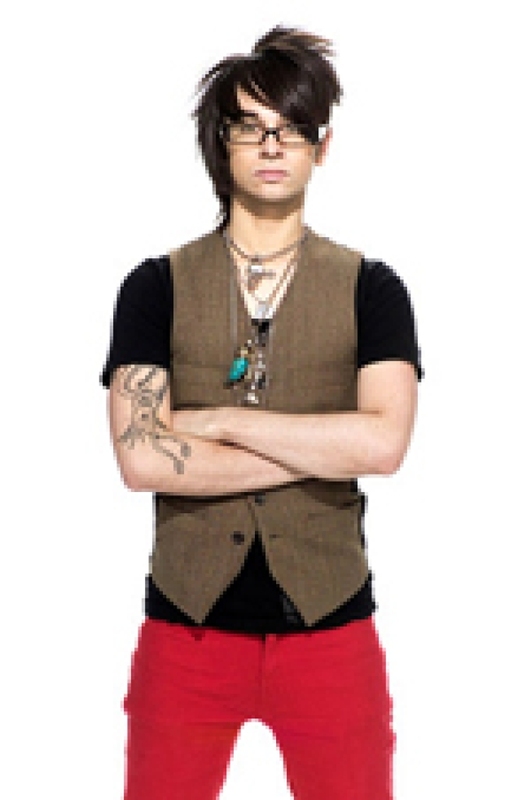 Siriano has been trying to make up the difference with other gigs: he "signed a six-figure deal [with LG Electronics]...to promote its new 'LG Lotus' phone," designing a scarf with a pocket to complement; he frequently travels to make appearances at $10,000-$20,000 a pop; he created Whoopi Goldberg's wardrobe to host the Tony Awards; and, of course, designed that eight-piece collection for Bluefly.com, of which "83% of the stock on Bluefly.com was gone," by the end of the first day. He's also turned down opportunities he didn't find fitting, such as $20,000 to design an oven mitt for Italian food brand Bertolli, and something Secret deodorant-related. All told, he's declined deals that would've totaled $120,000. After turning down Bertolli, Siriano told the paper: "I cried." Though, we don't think the former PR contestants who showed up for the recent Bravo finale party would shed too many tears for Siriano, who has already parlayed winning into more success than others. CAN's Trade Talk was at the party to report the latest: "Jerrell Scott is planning to launch a collection with some of his 'fancier bits' at H. Lorenzo on SunsetPlaza on Nov. 5...Korto...is working on launching a collection...Sweet Pea just finished a small collection of limited-edition garments featuring her husband’s artwork...Suede is pursuing an acting career and was in L.A. interviewing with agents and managers...Emily is continuing her hipster line Smoke & Mirrors and recently got engaged and is expecting...Kara Saun is designing costumes for a new reality show for ABC produced by Ashton Kutcher and Tyra Banks..." Hold on! Suede is pursuing acting? !